Greetings from Buenos Aires! I’m currently living in this beautiful and quirky city with my girlfriend Sofia. We met in the wine capital of Mendoza exactly 5 months ago and took a bus to Santiago together. She has a scholarship to study Occupational Therapy at University of Buenos Aires. Here’s a photo of Sofia helping an elderly lady cross the street. She inspires me to be a better version of myself every day! 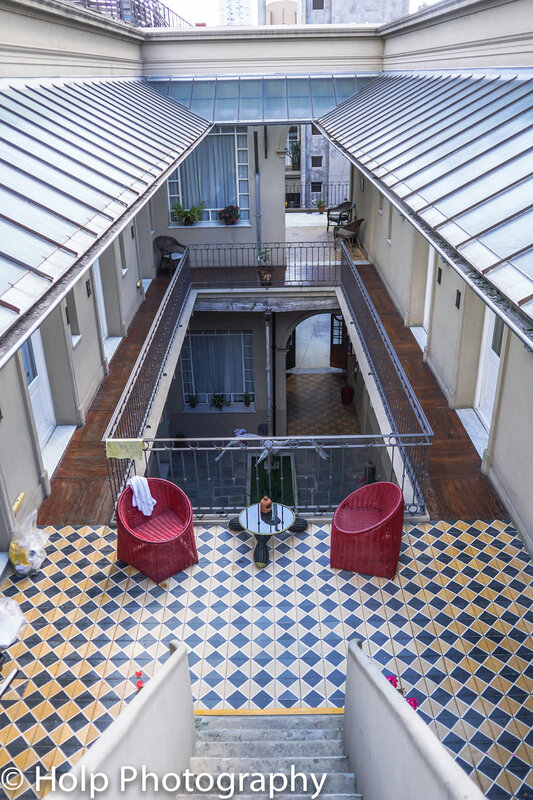 We’re looking for affordable apartments in the San Telmo and Palermo neighborhoods. In the meantime, I’m growing my photography portfolio, building my professional network (connect with me on LinkedIn), finding remote clients, and emailing hotels to arrange free accommodation in exchange for professional photos. I’ve been successful at this endeavor in Panama, Ecuador, Peru, Chile, and now Argentina. You can read more in my blog post How To Stay At Luxury Hotels For Free. We just finished volunteering for a week at Monita Hostel which included a private room, large kitchen, Netflix viewing room, bar, and BBQ dinners. The work was not demanding and the cost of living was free. It’s located right around the corner from America del Sur Hostel, widely considered to be the best hostel in Buenos Aires. I’ve stayed at more hostels than I can count during my travels abroad over the past few years. I always use HostelWorld to find available options and relevant reviews. 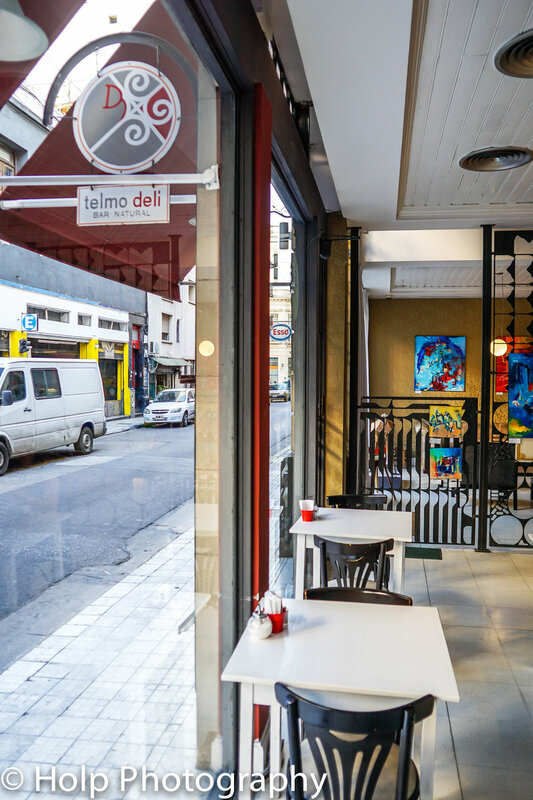 Today, April 2, 2019, we checked into Patios de San Telmo. It’s a charming and relaxing boutique 4-star hotel with adjacent deli restaurant located in the historic center of Buenos Aires. Continental breakfast is included every morning. We are staying here for 3 nights in exchange for professional photos, influencer marketing, and this promotional blog post. 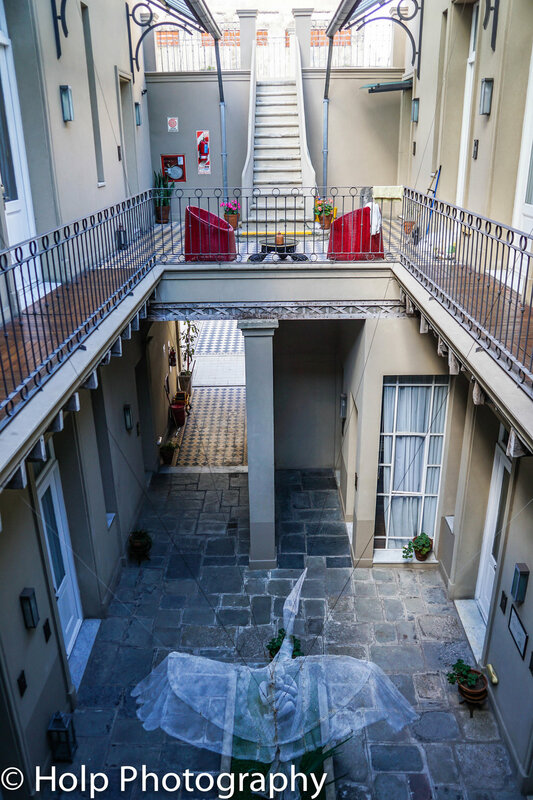 If you’re looking for a comfortable and clean hotel in Buenos Aires, I highly recommend Patios de San Telmo! You can make a reservation on Booking.com or TripAdvisor. Here’s a few of my favorite photos to show off the ambiance. Don’t hesitate to contact me if you’re interested in working together! ✭ Professional photography, 250+ high quality photos which you are more than welcome to use commercially for promotion of the hotel. ✭ Social media posts and Live videos on Facebook and Instagram during media visit at the hotel. ✭ Professional blog post dedicated to the accommodation, including permanent links to your website. Includes a positive review on TripAdvisor.